PS Paver Seal™ is a natural-look penetrating sealer, used to protect and seal any clean and dry cementitious surface, above ground, vertical or horizontal. It protects the surface against damaging effects of water intrusion, acid rain, deicing chemicals, freeze/thaw exposure, airborne dirt and smog. 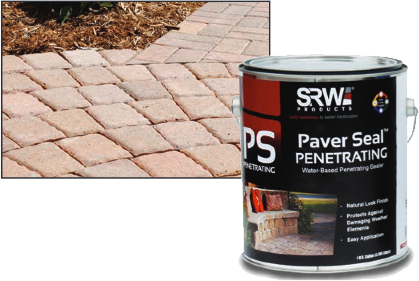 PS Paver Seal is easy to apply, it retains the original appearance and ensures a non-yellowing UV resistant finish. Approximate Coverage: 120 sq. ft.